This Ad Display has an A5 Brochure Holder. 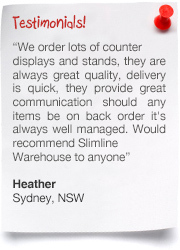 The Brochure Post is Perfect for Exhibitions & Retail Stores. This Ad Display has an A3 Poster Frame! 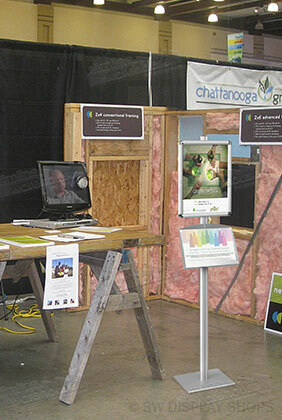 Low-cost ad display uses a snap frame for quick graphic changes, less than 60 seconds needed! Ad Display is Perfect for Exhibitions & Retail Stores! The ad display lures customers in using a graphic frame, and then provides additional information for potential clients to learn more. 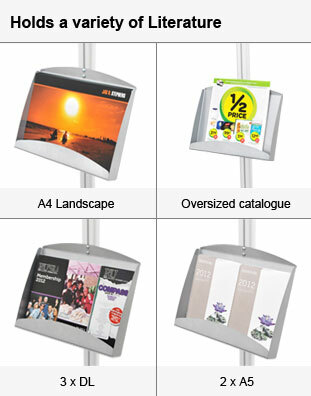 The brochure post features (2) brochure shelves that hold A5 standard sized pamphlets. This catalogue rack, ad display also features an A3 sized snap frame to hold custom graphics. 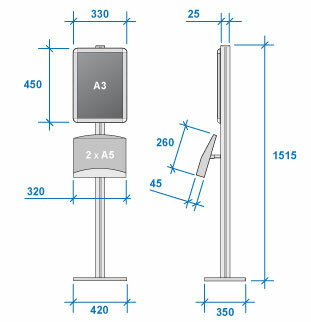 The snap frame can be attached to the stand in either portrait or landscape orientation. 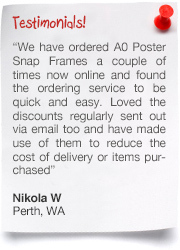 The ad display uses snap frames to allow for quick graphic changes, requiring no tools with the simple design of the frame. An included protective lens ensures the graphics stay clean and help prevent vandalism. 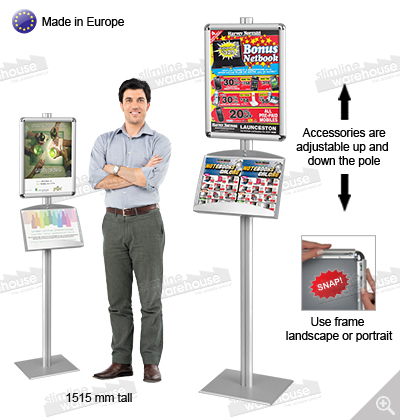 This ad display, like a brochure post or portable catalogue stand, are used in exhibition centres, car dealerships, information centres, retail stores and office lobbies. 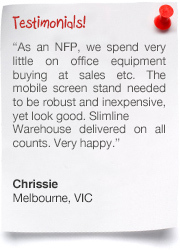 The versatile units are easily portable, but remain stable once in place due to the plate steel within the stand. 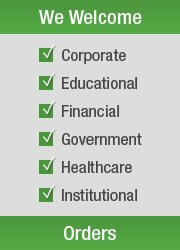 An ad display includes all the necessary hardware for installation and the tools to assemble the unit, which only requires a few minutes. The components of the stand are modular, so they can be moved up and down the stand into desired positions. 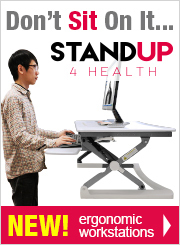 In addition to this portable stand, many other configurations are also currently available to choose from. 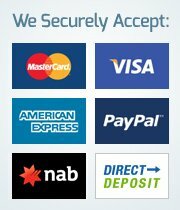 You can also purchase additional components to create your own stand with only the features you require! The graphic stand has a snap frame for quick changes. 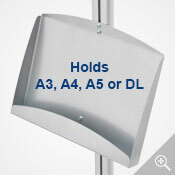 The brochure holder displays a5 sized pamphlets, perfect for displaying to customers at exhibitions and retail stores! 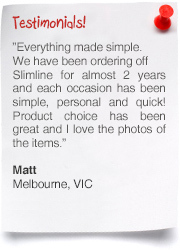 Our main shopping page is full of products to outfit any company in style. 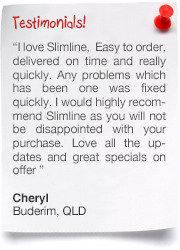 Orders placed prior to 1pm EST at Slimline Warehouse ship same day on most in stock products!